The fault requirements and types of compensation benefits available are the main differences between a personal injury and workers’ compensation claims. 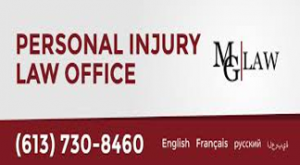 A personal injury claim is based on the fault or negligence of the accused while the workers’ compensation claim does not need to prove any negligence in either party. Recovering damages against someone needs to show that the other party is negligent and has done something wrong. Accidents happen unexpectedly. 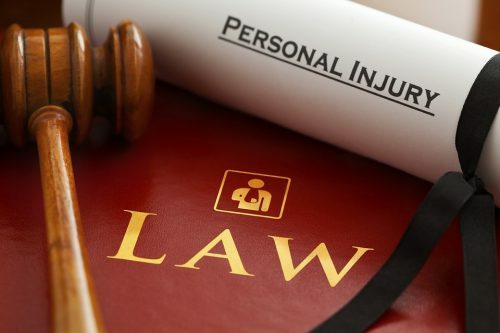 To be qualified in a personal injury case, one must prove that the other party is negligent. For example, you are in a restaurant and going down the stairs, and you accidentally slip because the stairs are wet. You can file a personal injury case in such a situation. Why? Because the other party is responsible for maintaining the area accident-free. The other person who should be accountable showed negligence. There is a limited exception in workers’ compensation benefits, but any employee injured on the job is entitled to it. Unlike personal injury, workers’ compensation does not need to provide proof that there is negligence in both parties involved. In general, as long as you have been injured in the workplace, whether you or your colleague is at fault, you are still entitled to have workers’ compensation claim. There are different damages between personal injury and workers’ compensation. Those who are under workers’ compensation claim are not entitled to pain and suffering benefits, while those who are under personal injury claim are entitled to recover all damages they suffered. Costs include lost earning capacity, lost earnings, future medical expenses, medical bills, pain and suffering, permanent impairment and loss of enjoyment are catered under personal injury claims. A weekly compensation, medical bills, vocational rehabilitation, and permanent impairment benefits are the one included in the workers’ compensation claims. They are not entitled to pain and suffering benefits. The reason is that the workers’ compensation is a trade-off between the business owners and labor. Before the twentieth century, the injured workers may sue their employers for negligence when something happened to them at work. If the employer, on the other hand, was not negligent, or when the injured employee did not sue for a claim against the employer, there will be no benefits and medical assistance he could claim. As stated by the law, all workers who were injured on the job will receive weekly benefits and medical assistance. This is also the reason why these injured workers lost the right to sue their employers and colleagues for negligence, along with it, they lost the right to collect damages for pain and suffering. Are There Workers Who Are Legally Permitted To File Complaints Against Their Employers? There are two cases of employees that do not fall under any workers’ compensation laws, and these are crewmembers of vessels and interstate railroad workers. There is a federal law known as the Jones Act which authorizes crewmembers of any boat to sue the employer for damages when they have been injured on their job. These damages include pain and suffering like a personal injury claim. So, if you are a crewmember who has been injured on board, it is advisable to contact a lawyer who specializes in Jones Act cases. On the other hand, the Federal Employers Liability Act (FELA) is a law being followed by interstate railroad workers. Interstate railroad workers may sue their employers when they are injured on their employment. These workers are those who work for a railroad that operates in several states. Not all railroad workers are under the Federal Employers Liability Act like the commuter rail workers. It is best to contact a lawyer specializing in Federal Employers Liability Act for more information regarding the law and its procedures.